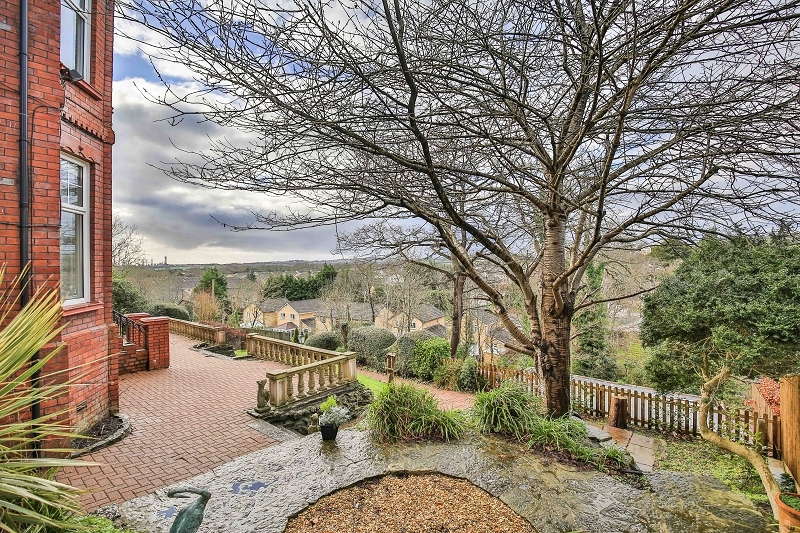 Situated in an elevated position, with far reaching views, Holmes Tower is one of just 9 houses tucked away in this discreet and quiet location. 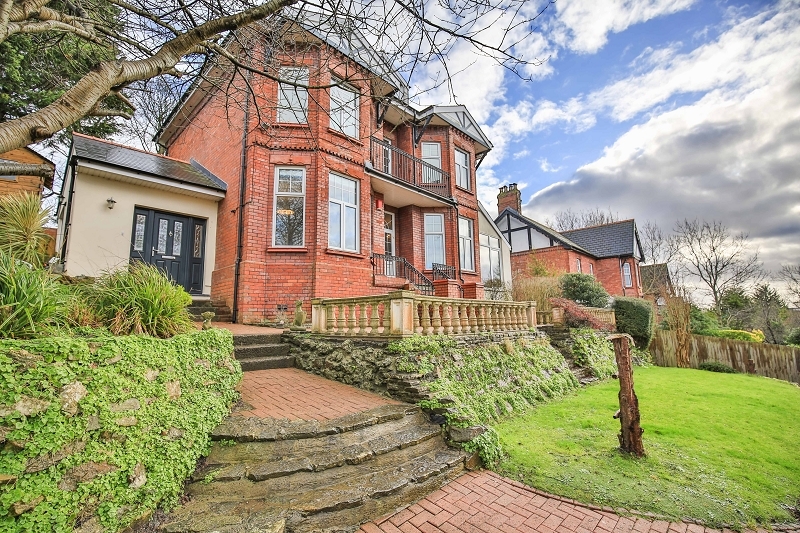 A stunning and unique five double bedroom period residence, with garage and parking, located in the village of Dinas Powys. 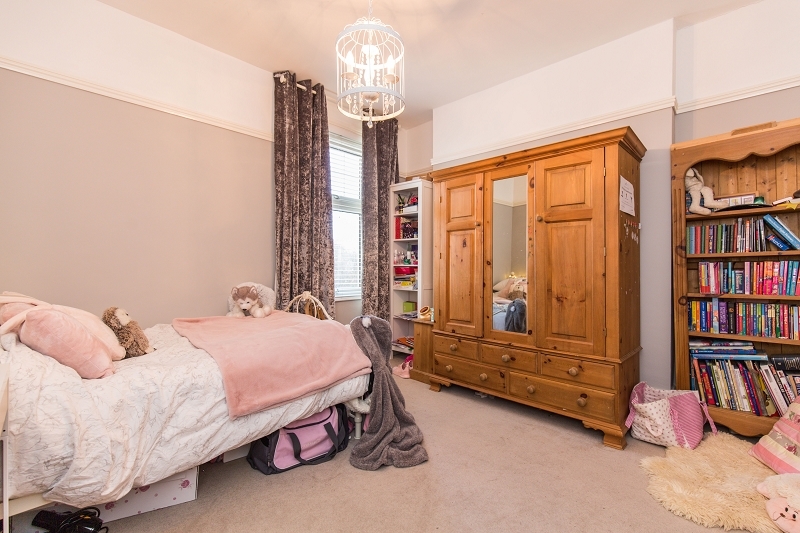 Situated in an elevated position, with far reaching views, Holmes Tower is one of just 9 houses tucked away in this discreet and quiet location on the fringe of the village. 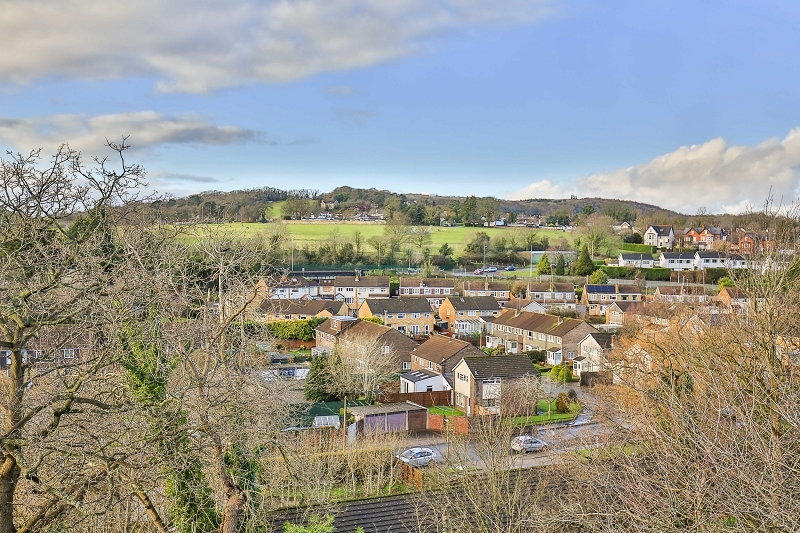 Dinas Powys is predominately a commuter town, being just 5 miles south west of the Capital City and 9 miles south east of J33 of the M4 motorway. 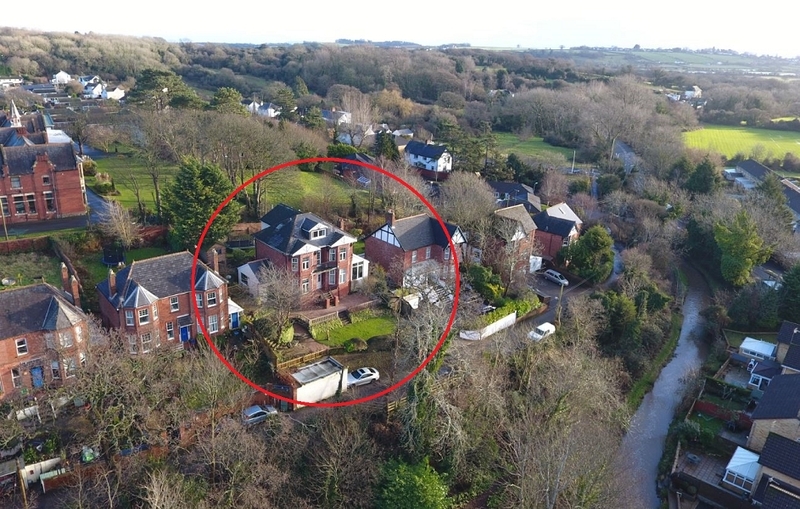 The village has excellent transport links to the city centre with Dinas Powys railway station providing frequent services to Cardiff and the Vale of Glamorgan. The village is served by both Cardiff and Vale of Glamorgan bus services. 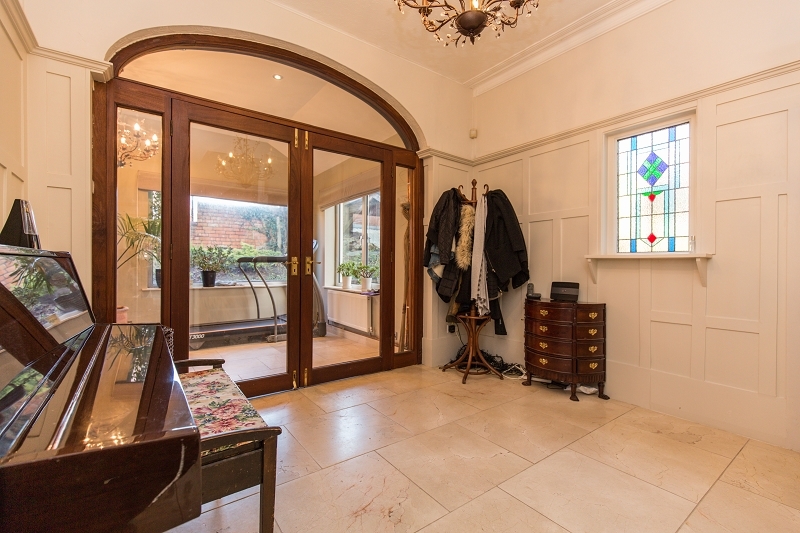 An attractive entrance door leads to a spacious porch with marble floor and broad windows allowing generous levels of natural light. 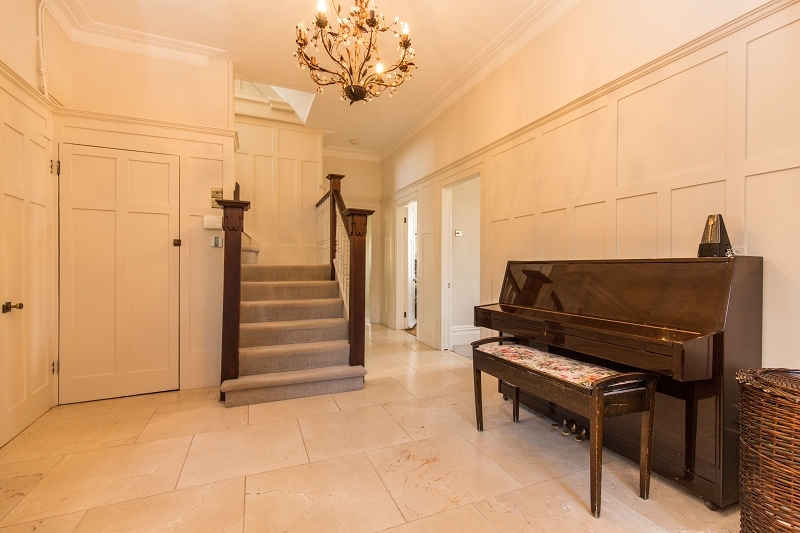 Glazed double doors lead to an impressive inner hallway with wood panelled walls and a striking staircase which rises to the first floor. 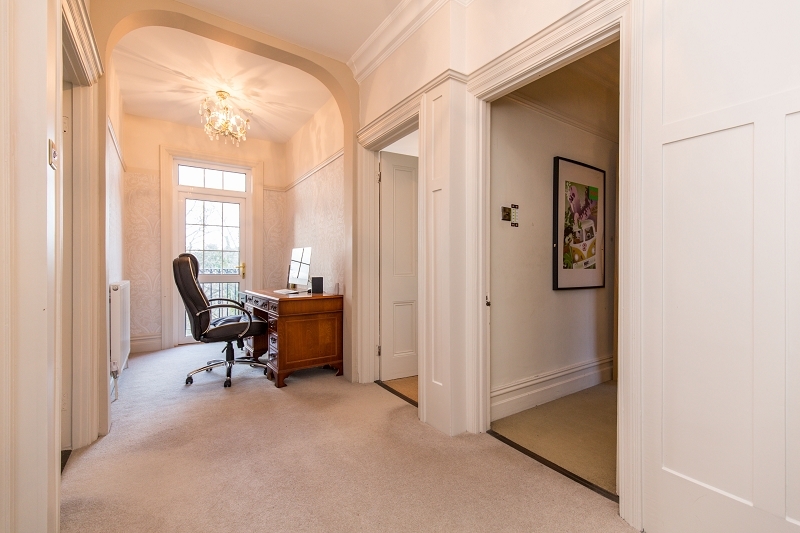 Doors lead to both reception rooms, the kitchen, breakfast and dining room plus WC and cloak rooms. The elegant and exceptionally well proportioned principle reception features a varnished wooden floor and cast iron fireplace with coal effect gas fire, decorative surround and slate hearth. 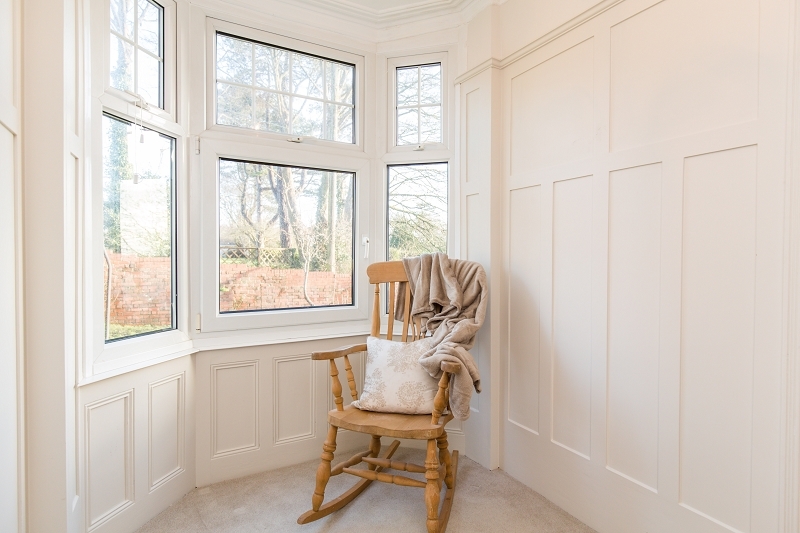 The room also boasts a broad bay window, picture rails, decorative cornicing and radiator cabinets. 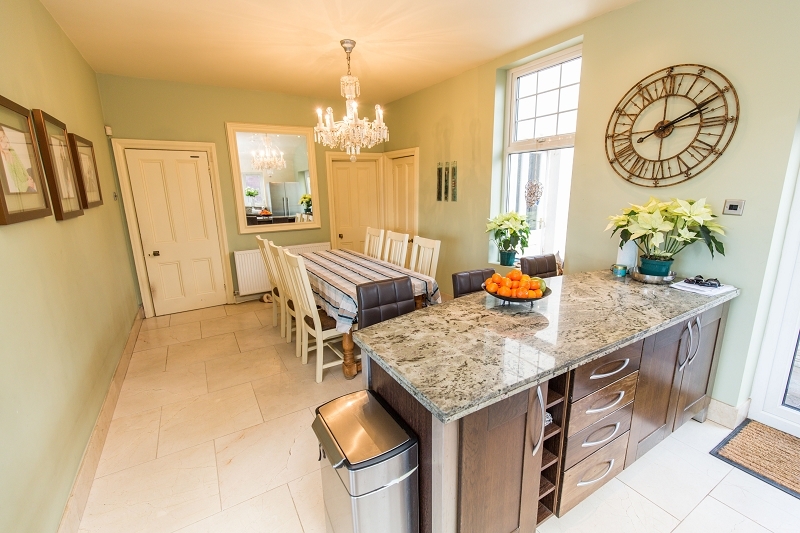 The second reception, also offering generous accommodation, features a second bay window with elevated views across the front garden and village beyond. 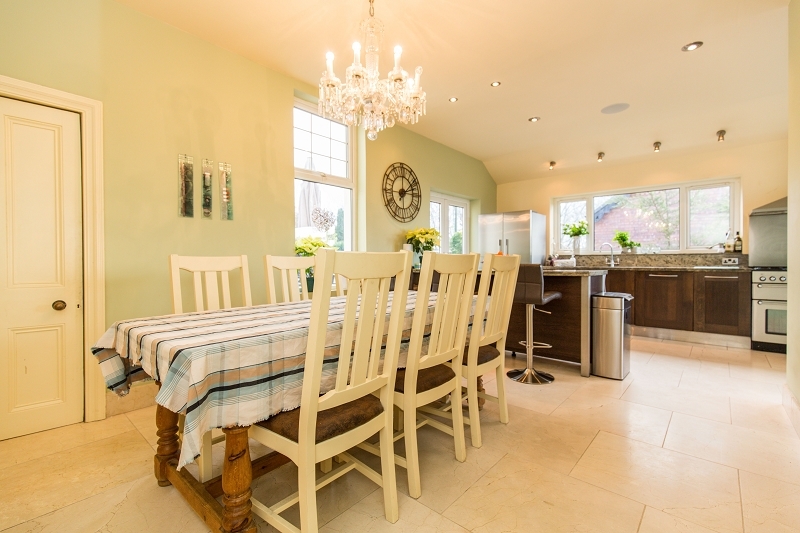 KITCHEN, BREAKFAST & FAMILY ROOM. 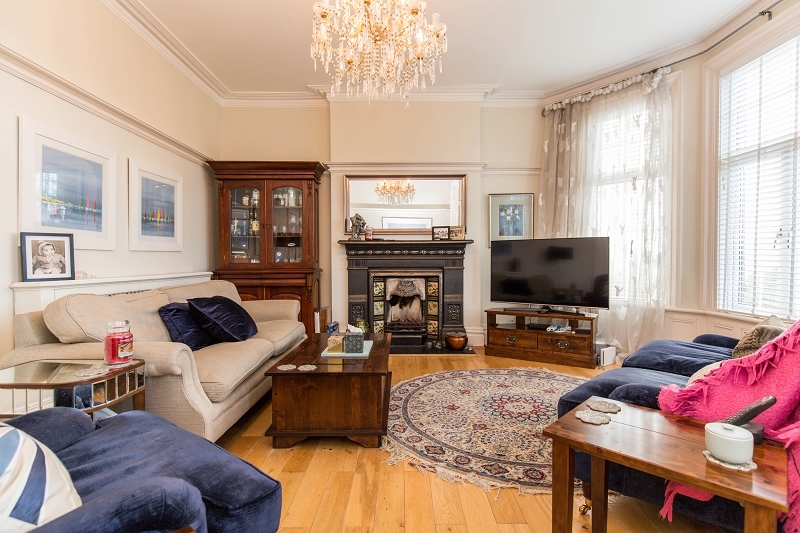 A fabulous, extended, 'L' shape family room effortlessly combining a well equipped kitchen with generous dining and informal living areas. 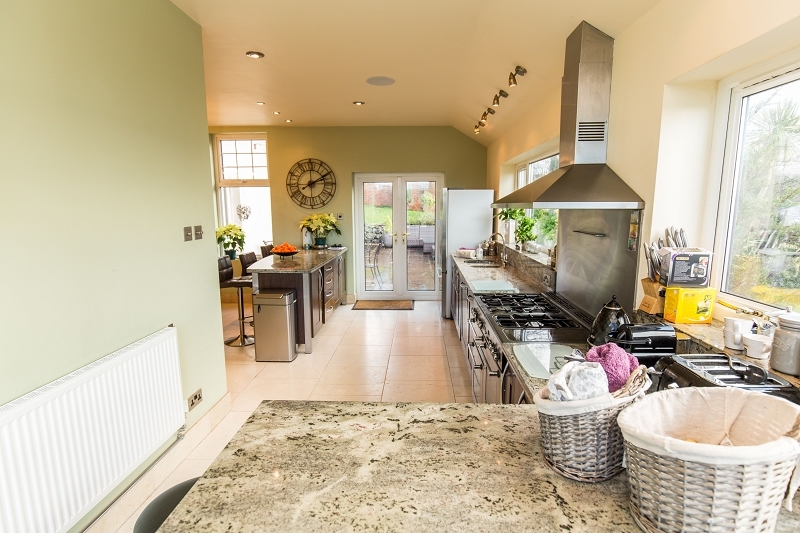 The kitchen incorporates matching base and eye level units, marble work surfaces and breakfast bar plus a double sink and drainer. 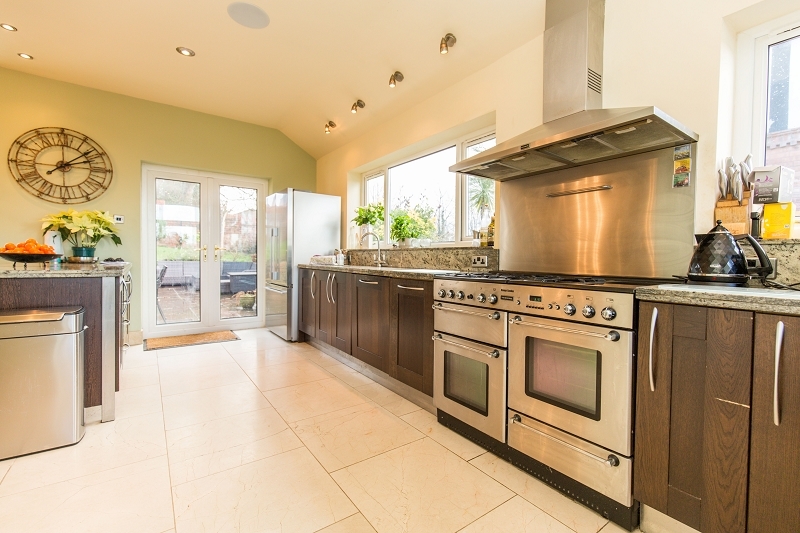 Appliances include an integrated washing machine and 'Range' style oven with stainless steel back plate and matching extractor hood. 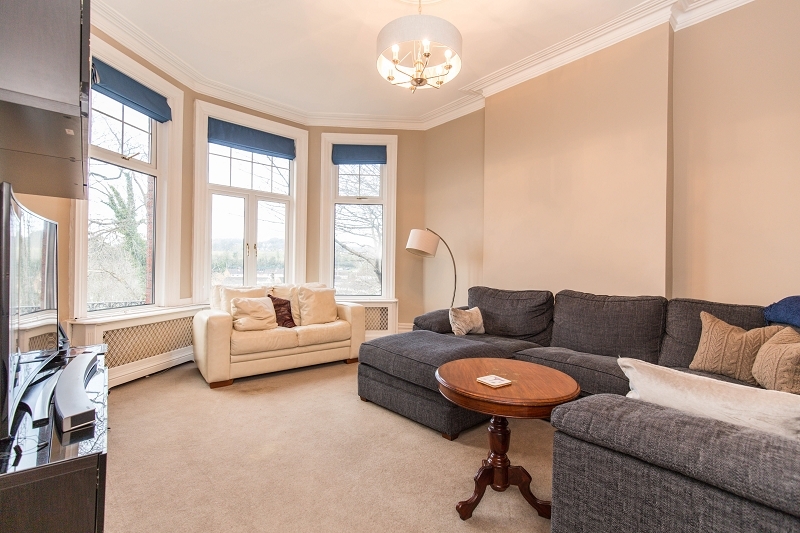 To the rear, French doors open onto the sun terrace and to the front, a floor to ceiling picture window provides breathtaking views towards the village common. 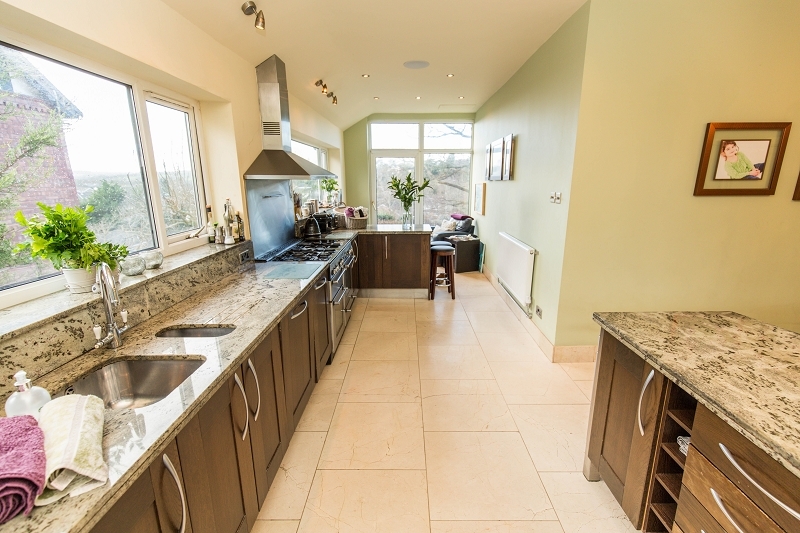 A heated marble floor runs throughout and doors lead to a larder and separate, fully fitted utility room with further door opening onto the garden. 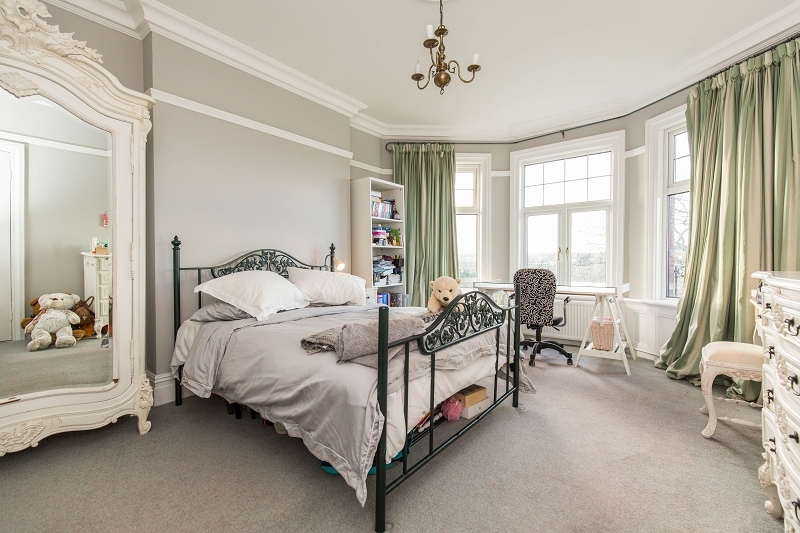 A fabulous master bedroom can be found on the second floor. 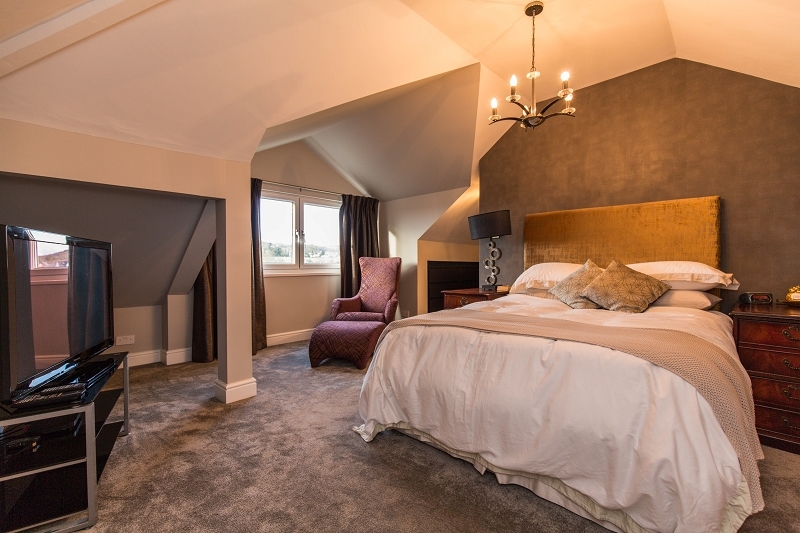 The bedroom enjoys a dressing area, opulent en-suite and a southerly aspect with elevated views. 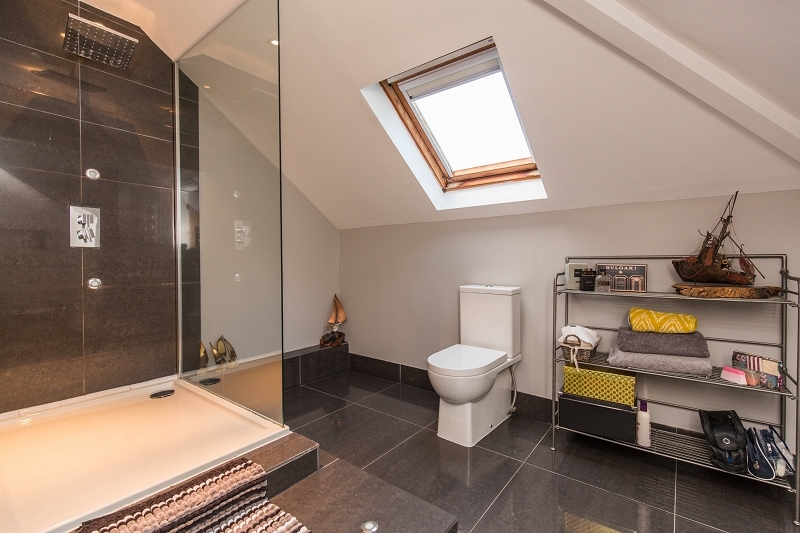 The second floor also provides extensive, hidden storage space. 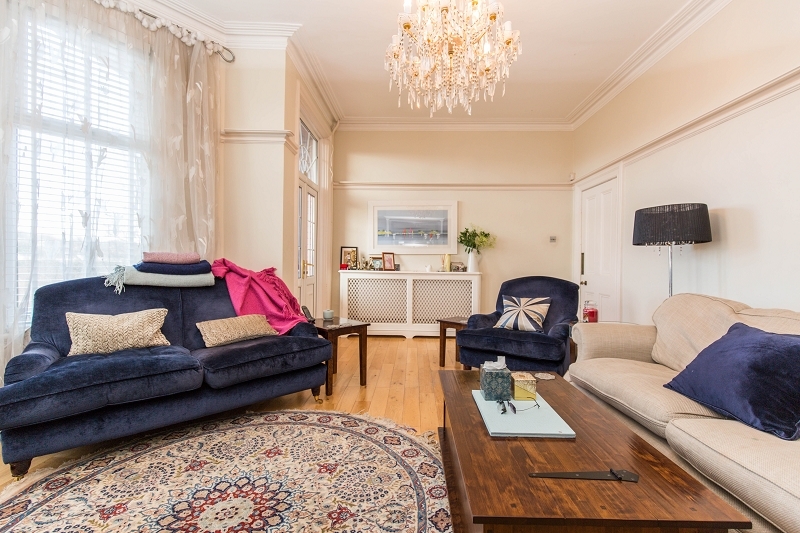 At first floor level, a spacious landing with wood panelled walls in part, lead to 4 further double bedrooms, two of which have bay windows. 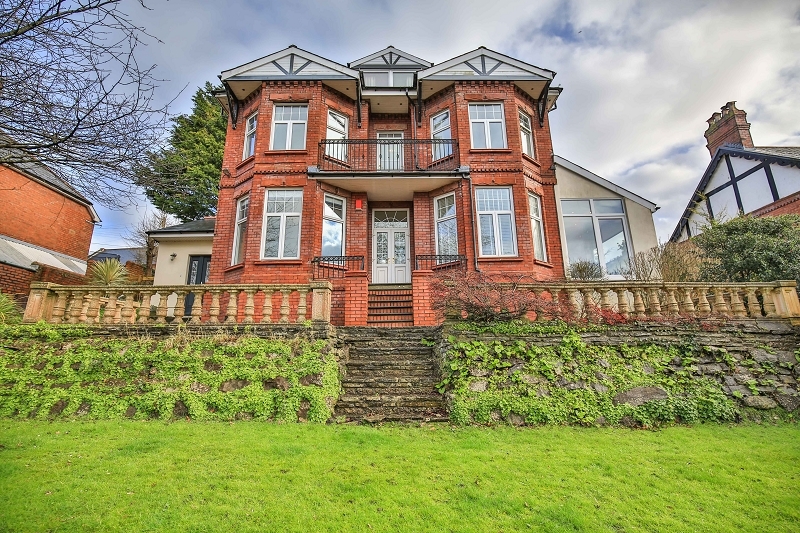 The landing also leads to a first floor balcony with wrought iron balustrade. 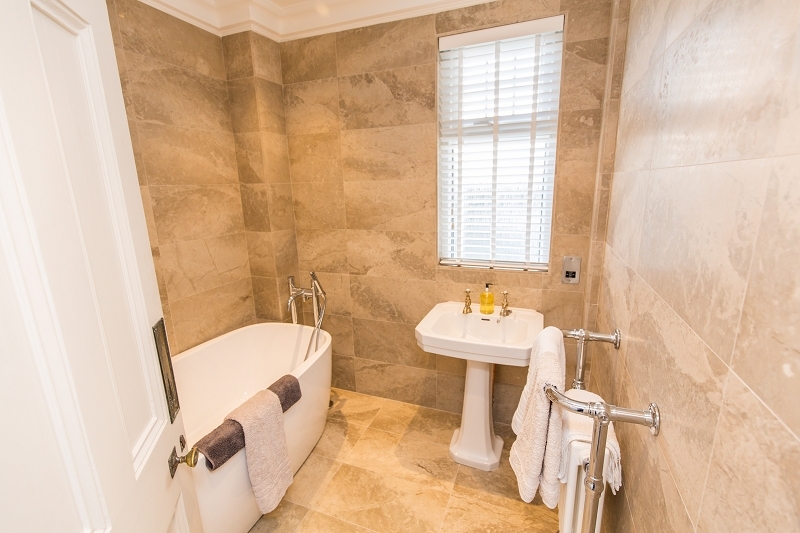 Two upgraded bathrooms, one with walk in shower and the second with freestanding bath complete the accommodation. 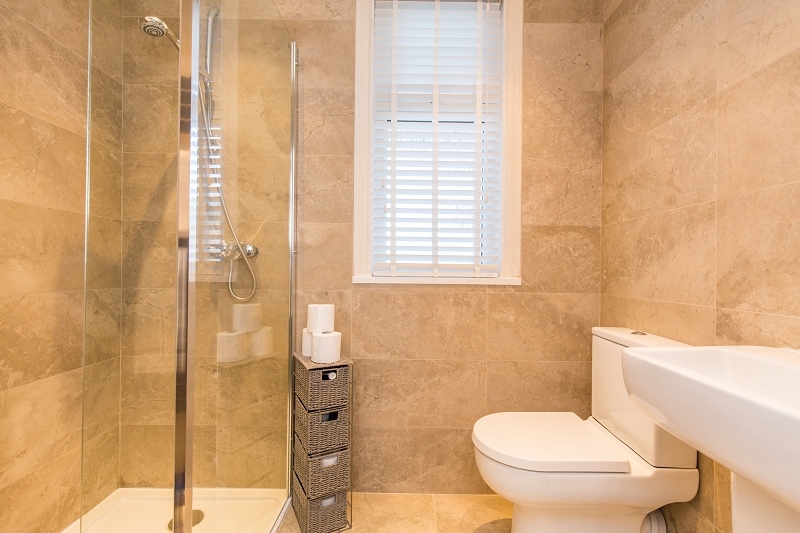 Both have marble finishes. The front garden is arranged over two tiers. 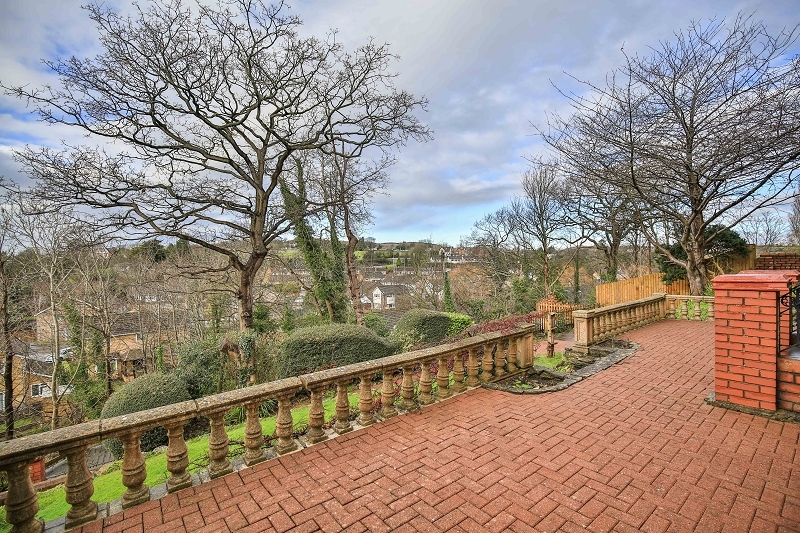 The upper comprising a substantial terrace bordered by classic balustrading and the lower, comprising a lawn, planted beds and established borders. 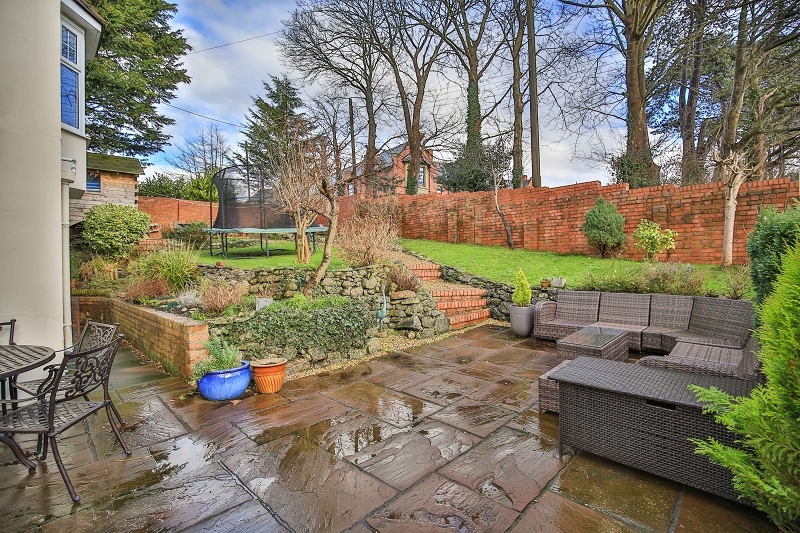 The rear of the property accommodates a very private, walled garden again arranged over two tiers. Landscaping includes an upper lawn and lower, flagstone sun terrace. 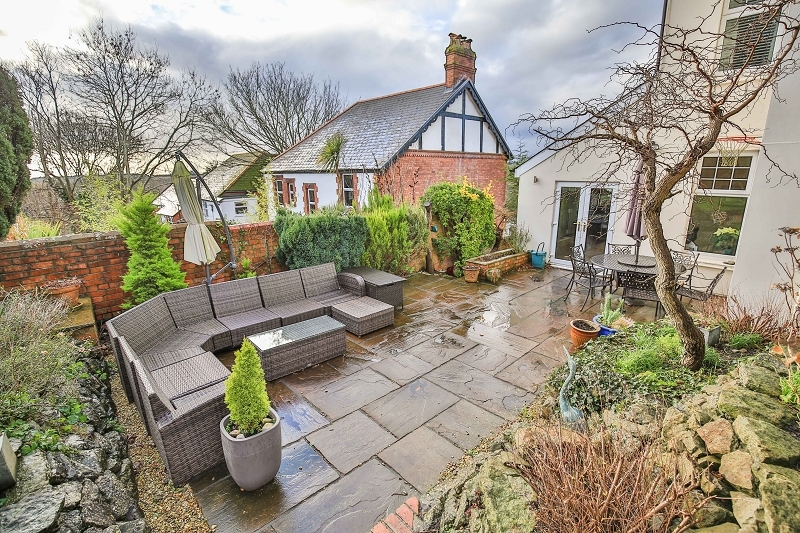 Further features include a rockery, planted beds and an impressive children's treehouse. A detached single garage with parking space to the front and further parking for 2 additional cars can be found on Wellwood drive itself. 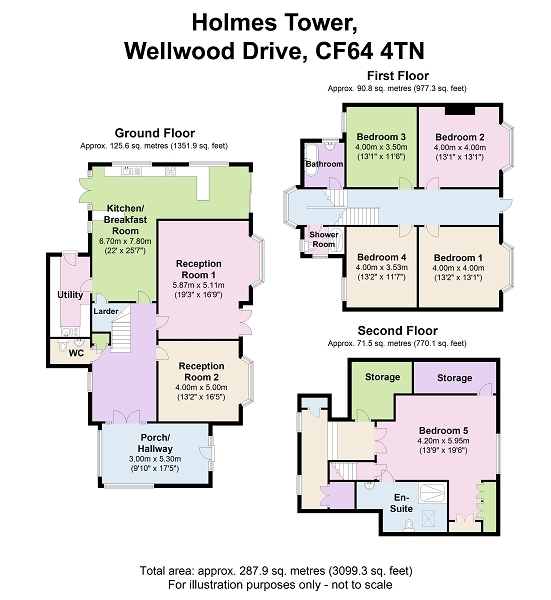 Room dimensions (both imperial and metric) can be found on the attached floor plans.